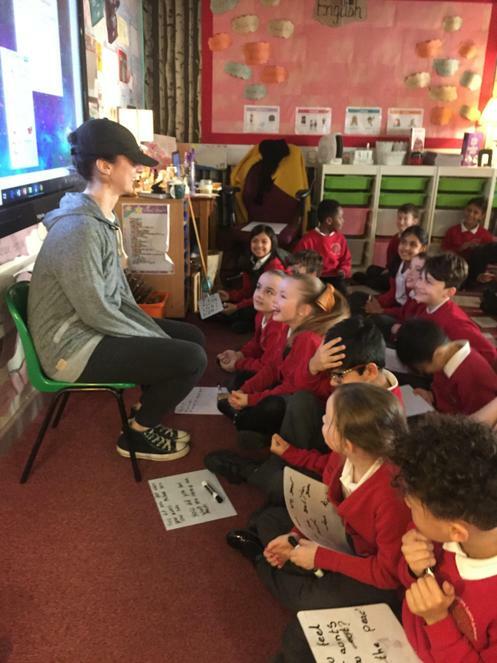 Miss Hart, Miss Hollis and Miss Chaudhry are the teachers in Year 3 along with Miss Holford, Mrs Sutton, Miss Briggs, Mrs Tooke, Miss Creasey and Miss Palmer working with us too. You can also keep up to date with what we have been up to on our twitter pages! Follow us for all the excitement. We started the year with a focus on picture books written by Anthony Browne.This included Into the Forest. 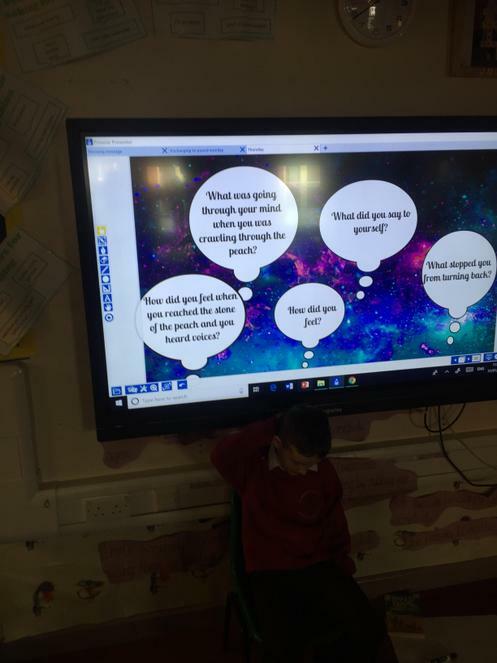 In our first lesson, we looked at different clues to discover what the story was going to be about. This also linked in nicely with our fairy-tale project. 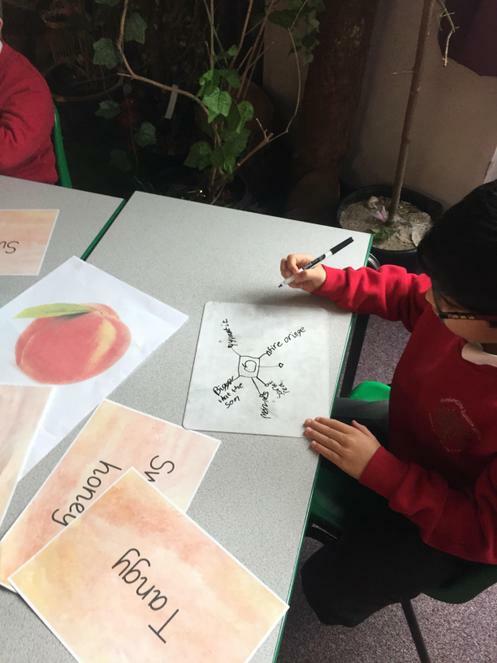 This term we have moved on to our first short novel which is James and The Giant Peach by Roald Dahl. 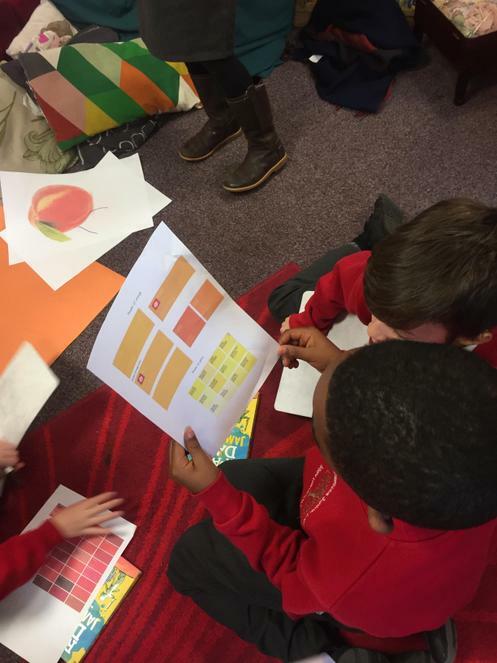 It is safe to say the children were excited to see our immersive classrooms that had turned into giant peaches, gardens, houses and New York City! The children have enjoyed doing lots of role play and drama already which has helped them to understand and empathise with the characters. 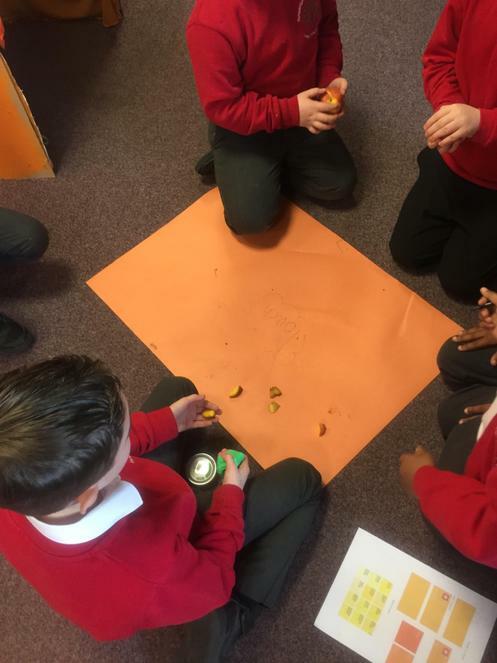 Throughout Maths in Year 3 we will be covering number and place value, and the four operations (addition, subtraction, multiplication and division), money, measure, shape and fractions. 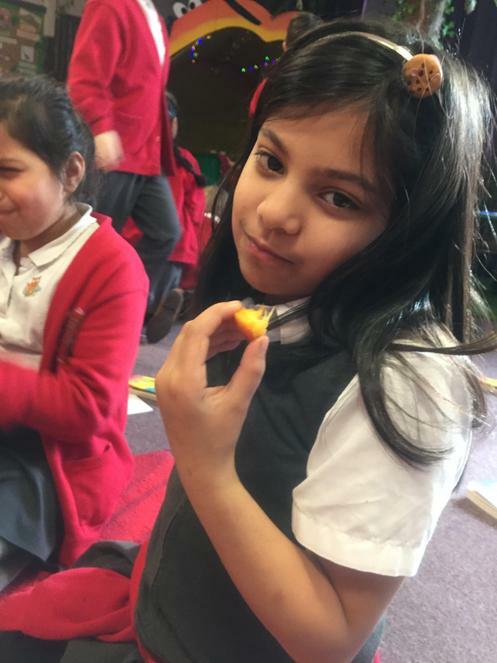 The children love working with the practical equipment to help them embed concepts and they love to challenge themselves through problem solving. Our current project is based around the question, "How can we explore time before man?" 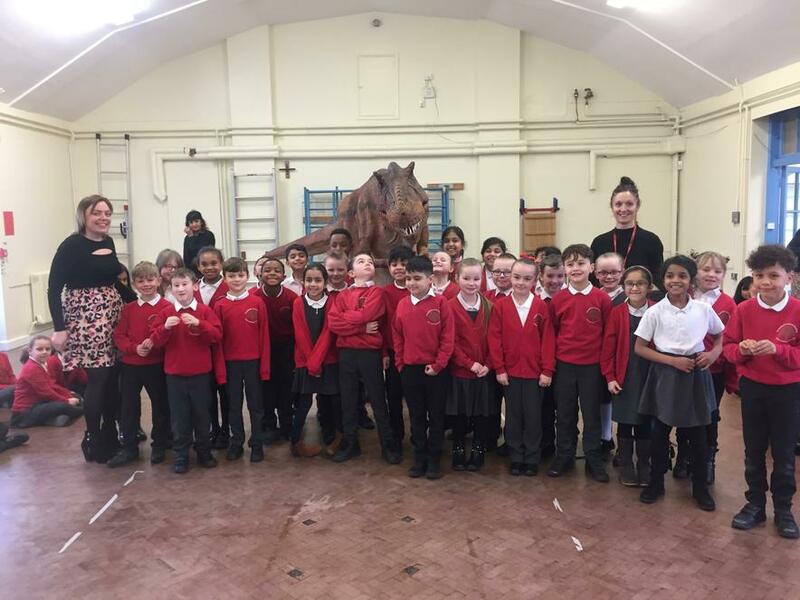 This exciting project has allowed us to learn all about dinosaurs (the children have even taught us some new things!) including things such as the periods in which dinosaurs lived in and theories around how they became extinct. We have been lucky to work with experts such as a paleontologist who has taught us more about dinosaur fossils and they are formed. 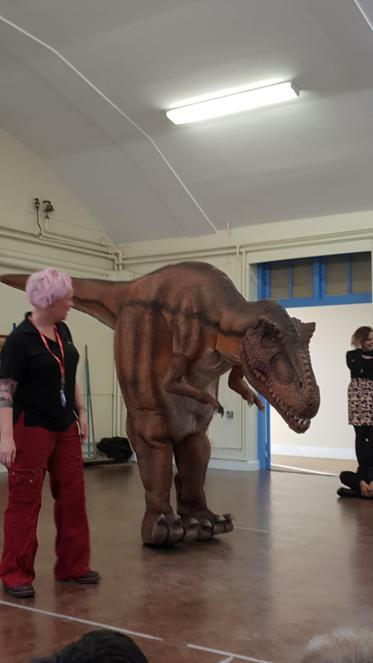 We also received a visit from Sophie the T-Rex which was thoroughly enjoyed by all children! What learning can you do at home? We encourage children to read every night for at least 5 minutes to build on their fluency. Read to an adult and discuss what you have read and predict what might happen next! Practise your times tables! Each child has a times table rockstars account that has timetables set for them. How many coins can you earn? Spellings are given out on a Monday and we have a spelling test the following Monday. It is super important that you practise your spellings every day at home! Both Learning Log and Maths homework are given out on Friday and is due in the following Wednesday. 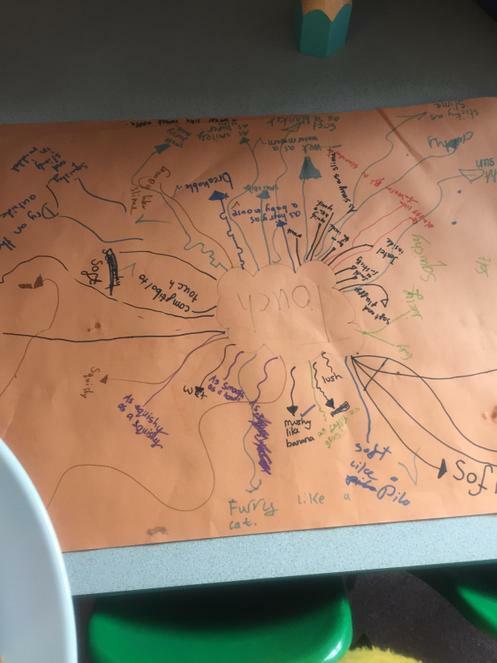 Homework based upon the learning that has taken place at school during the week. If you have any problems, please come and speak to a teacher before the homework due in! We are happy to help.